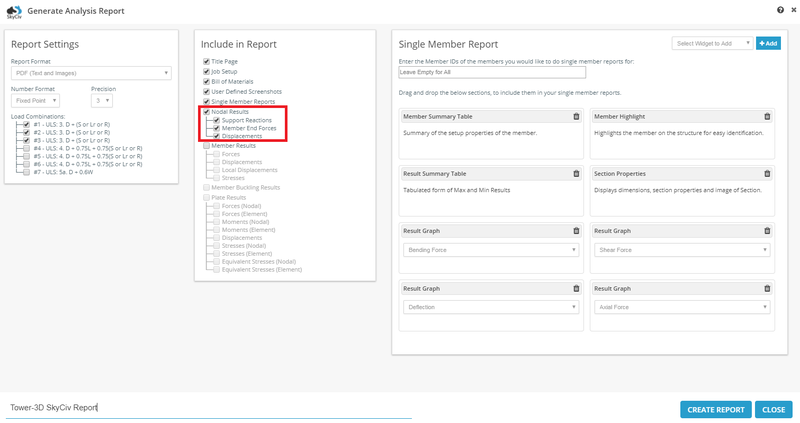 Having the 'Nodal Results' option selected will include all the node results of your structure. This includes the reactions (forces and moments) at each node, the internal member forces and moments, and the node displacements. 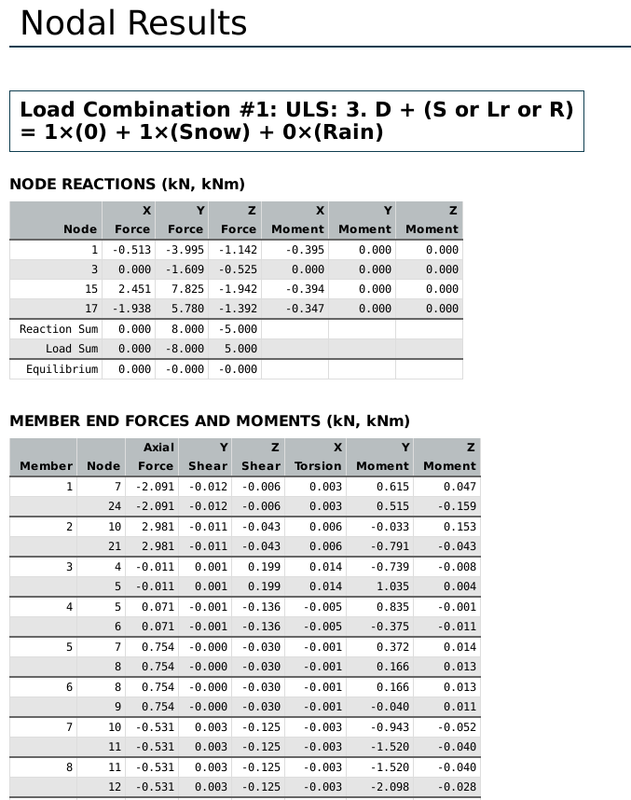 Note: Having multiple load combinations selected will generate nodal results for each load combination.